I am not a big fan of anything hurried and that goes for food as well. But, if you only have less than twenty minutes to dedicate to dinner, or lunch for that matter, these grilled veggies are the perfect solution. 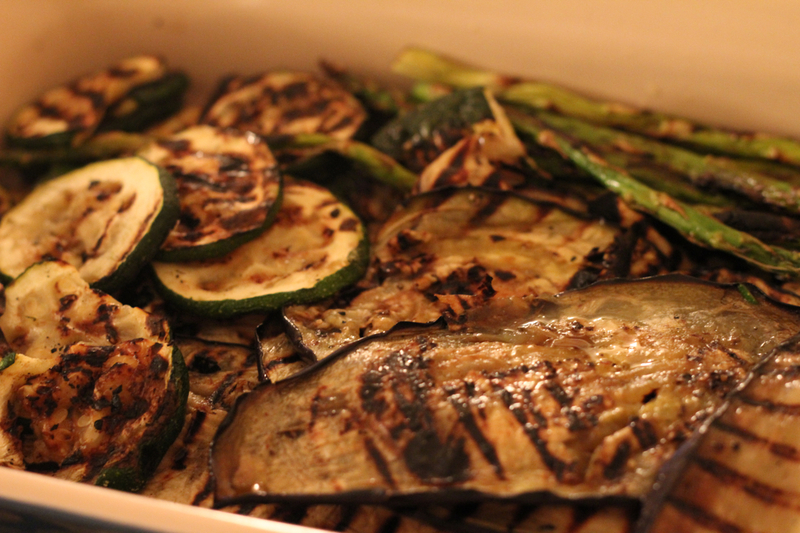 You don’t need a grill to do it…in fact, Francesco and I live in a 650-square-foot apartment with a fake balcony. So what do we use? 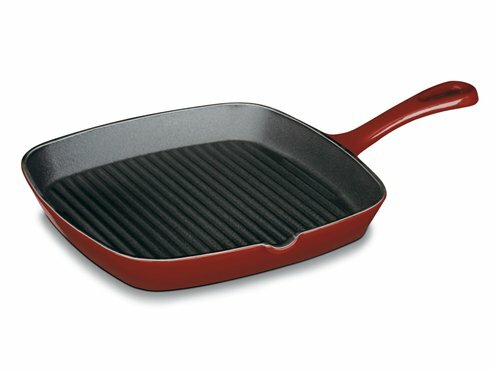 Well, a grill pan! It works impressively well and without excessive smoke. It all began with my lazy desire to cook something with the veggies that were slowly deteriorating in the fridge. I didn’t want to boil or steam them, so we thought, why not put them on the grill? 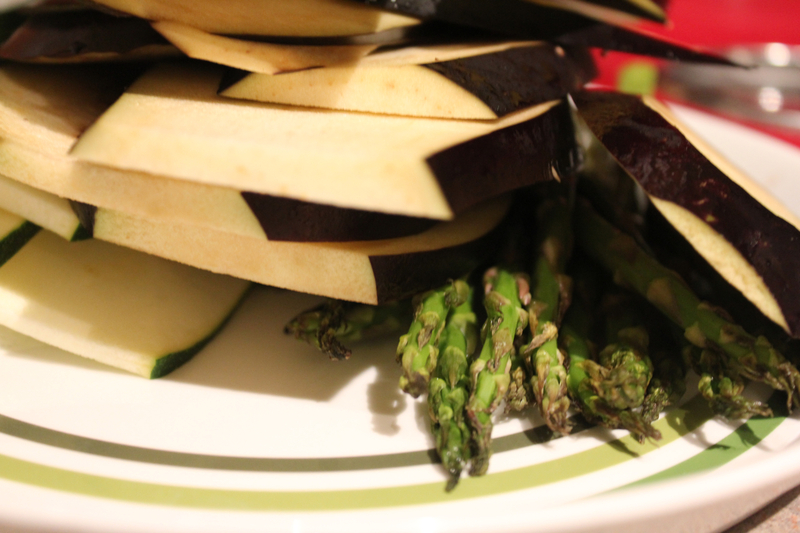 We bought some asparagus, one big eggplant and two zucchine (one of my favorite vegetables). After a thorough wash, I cut them in thin slices and let them sit for about 20 minutes. Because the eggplant was fairly large, I adopted my mom’s trick: I slightly salted the slices to get rid of the sour or bitter aftertaste. It works every time! 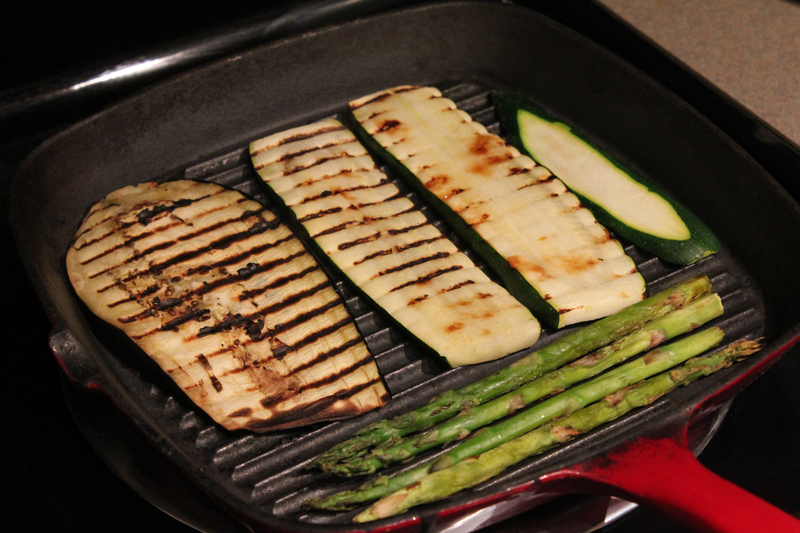 I turned on the grill pan, placed veggies slices and waited until they were tender, done. Repeat until all the slices are grilled. It’s that easy. I promise. You have time to work on other things: emails, phone calls, blog updates, twitter, you name it. Once the veggies are grilled, I placed them into a ceramic dish—and you can use a serving dish if you prefer—, I let them cool and later drizzled some extra virgin olive oil, a hint of salt, pepper and some Italian parsley. That’s pretty much it. 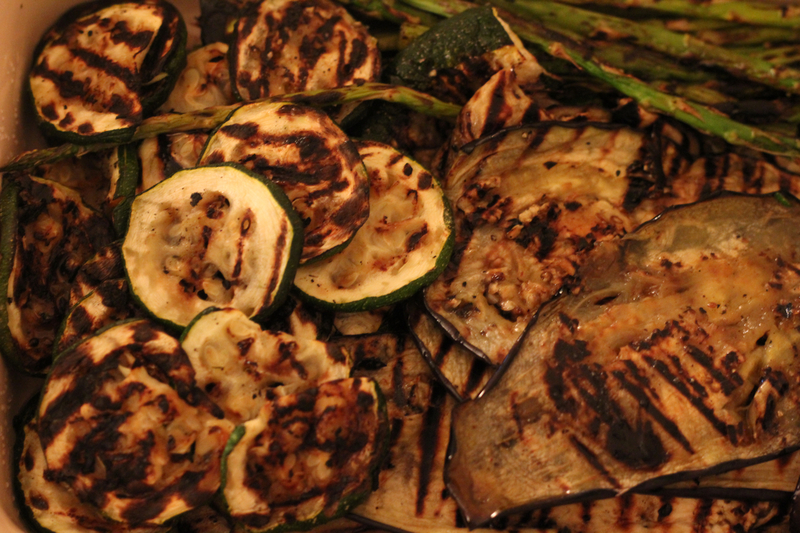 The great thing about these grilled vegetables is their versatility and use. I ate some for lunch and for dinner I diced them and made a delicious pasta sauce with just a hint of feta cheese. It’s out of this world.